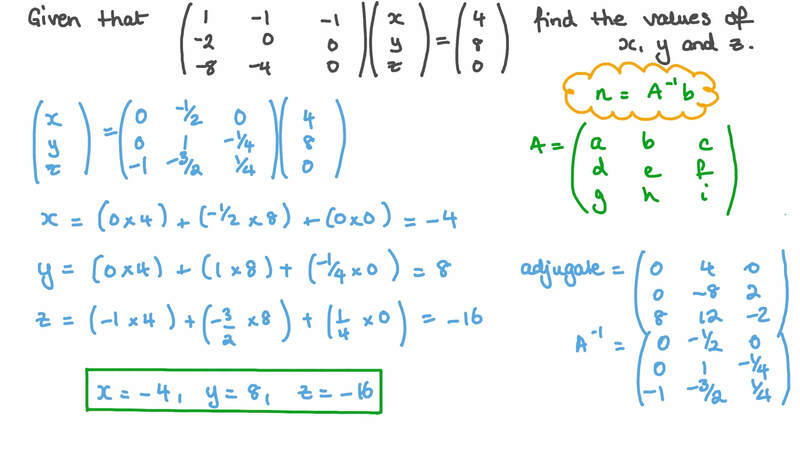 In this lesson, we will learn how to use matrices to solve systems of three linear equations. 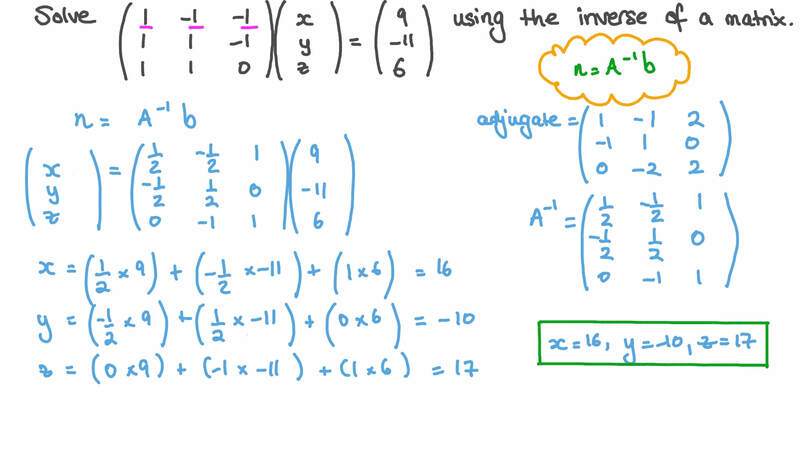 Solve  1 − 1 − 1 1 1 − 1 1 1 0   𝑥 𝑦 𝑧  =  9 − 1 1 6  using the inverse of a matrix. Given that find the values of 𝑥 , 𝑦 , and 𝑧 .